Ronald van Straten - De website van bcc2016! Hello, my name is Ronald van Straten, 56 years young and I work as team leader at the harbor of Rotterdam. 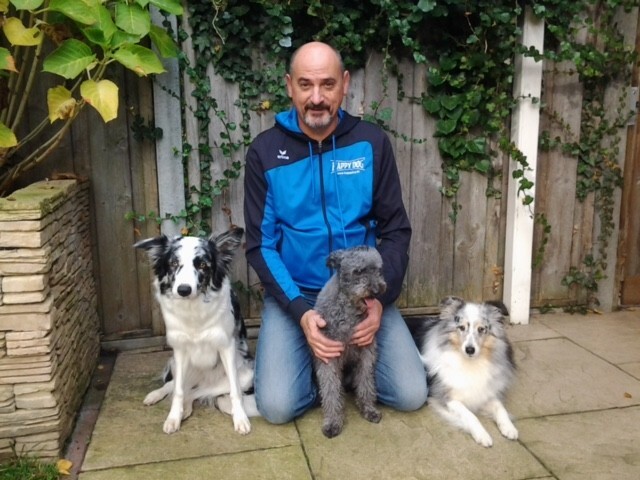 I live together with Hilda Schriek (Agility World Champion 1996) for 38 years now and together we have 3 dogs; 1 Border Collie, 1 Shetland Sheepdog, 1 Pumi. I'm active in Agility for ± 30 years already, and my best results were achieved with Bearded Collie Mad Maddy and Blues the Shetland Sheepdog. In recent years, I have supported the organization of several competitions. In 2006 I have started the training to become a agility judge, and currently I'm FCI agility judge. I enjoy judging competitions a lot. I feel honored to be invited to judge at the Border Collie Classic 2016, and I hope this event will be successful.